Coral Court Motel was one of the most beautiful on Route 66. The spotless deco moderne units, designed by Adolph Struebig for John Carr, had curved sides covered in shiny tile and glass blocks. It was all nestled in a park-like setting. The first ten two-room units opened in 1942. Another 23 units, designed by Harold Tyrer, were added in 1946. 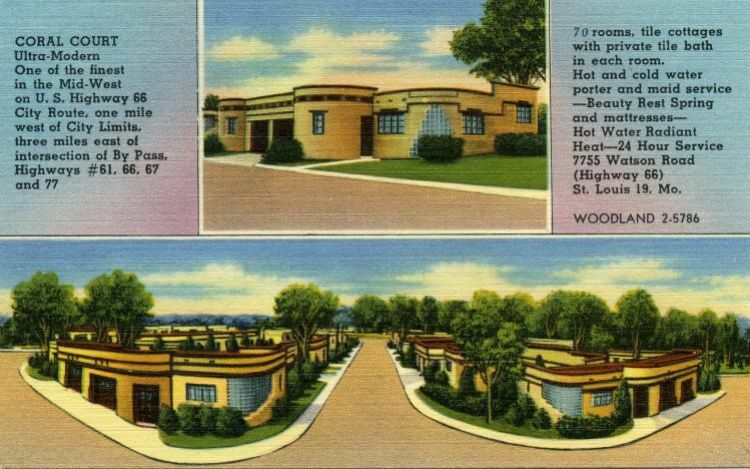 Three nondescript, two-story units in the back were added in 1953.